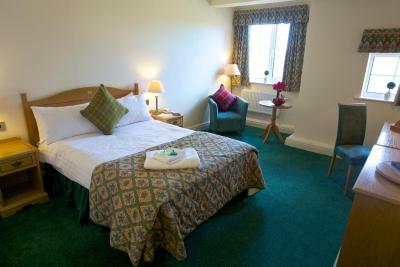 Lock in a great price for Hunters Lodge Hotel – rated 8.8 by recent guests! Lodge restaurant had excellent steak cooked perfectly. Staff was friendly and helpful. Extremely quiet. Restaurant staff were very nice. Restaurant patio was lovely. Decent functional hotel which provided a good overnight stay for a business trip. Good breakfast! Good location for our trip which was from Scotland to Oxford so a useful stopping off point to break the journey. Good toiletries in the bathroom. Good sized room. Quality fittings. Staff excellent, courteous and helpful. 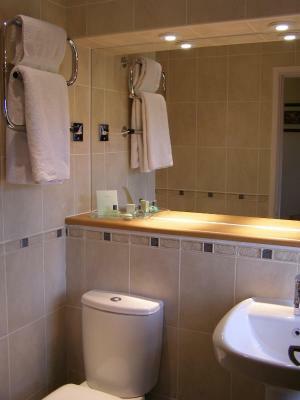 Everything was very clean, staff very helpful and cheery. Good value for money. Our only negative comment is that the shower tray was slippery and shower needs a bar to hold on to, otherwise we enjoyed our stay very much. Excellent pub grub in the bar. Very friendly and efficient staff. Value for money. Rural setting but close to Crewe. The staff are friendly and helpful, nothing is too much trouble. The restaurant provides a very good selection of well cooked/presented food. The location is away from traffic and very relaxing. Facilities exactly as described, apart from Wi-Fi which was available, but not mentioned on booking details or welcome pack, so bonus! Helpful welcome pack provided and all staff friendly and nothing too much trouble. Informal atmosphere in restaurant, food excellent and value for money, definitely intend to stay there again! 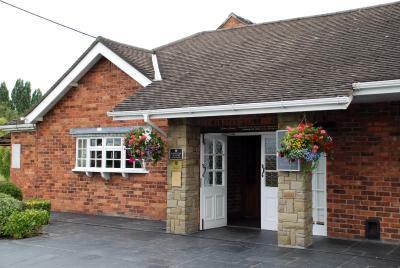 Hunters Lodge Hotel This rating is a reflection of how the property compares to the industry standard when it comes to price, facilities and services available. It's based on a self-evaluation by the property. Use this rating to help choose your stay! 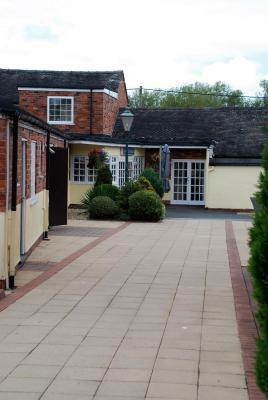 The Hunters Lodge is close to a network of travel opportunities, near Crewe Railway Station and an hour's drive from Manchester Airport. 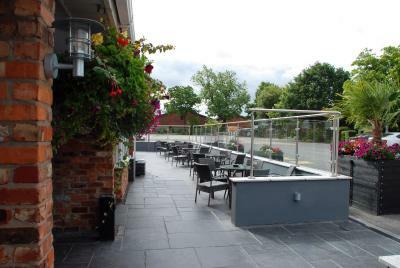 The restaurant and adjoining lounge bar offers a selection of English cuisine (subject to availability). The public bar serves home-cooked food which can be enjoyed by a cozy fire in the winter months or al fresco in the summertime on the patio area. 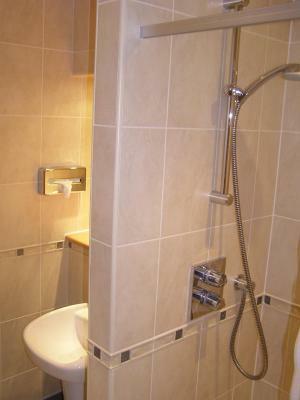 This property is also rated for the best value in Crewe! Guests are getting more for their money when compared to other properties in this city. 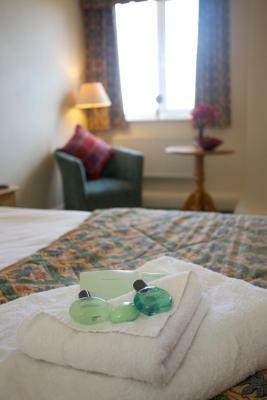 When would you like to stay at Hunters Lodge Hotel? 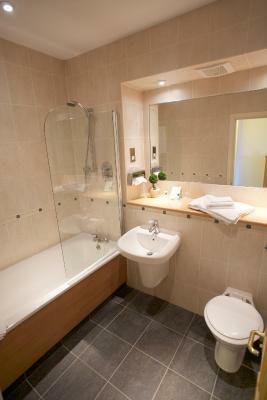 This room features a TV and tea and coffee making facilities. The private bathroom has a hairdryer. This room has a TV, telephone, and a radio. 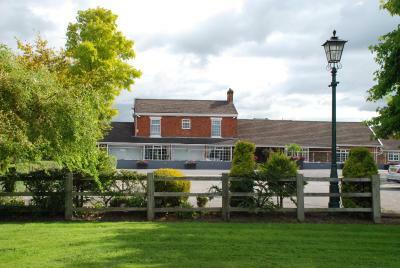 The Hunters Lodge Hotel, acquired by the present family in 1981 was originally an 18th Century Farm House and is ideally situated in sixteen acres of delightful gardens and open countryside. 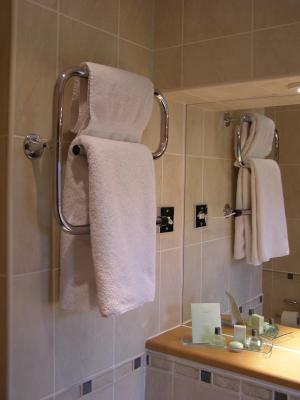 House Rules Hunters Lodge Hotel takes special requests – add in the next step! Hunters Lodge Hotel accepts these cards and reserves the right to temporarily hold an amount prior to arrival. Please be aware that there will be limited facilities availability for dining over the summer and festive periods, and booking is advised. You can use the Special Requests box when booking, or contact the property directly using the contact details provided in your confirmation. Guests arriving on a Friday or Saturday will be required to pay for their accommodations on arrival. All reservations require a valid credit or debit card. Confirmation Wi-Fi is available, found out by accident. No other concerns. Preferred when we were able to help ourselves for breakfast at our own pace. The single room I had was on the ground floor & looked out onto the car park. The room could have done with net curtains to maintain privacy. Each time the tv was switched on it was initially very loud, which could disturb guets in neighbouring rooms? The staff were all very friendly & helpful. 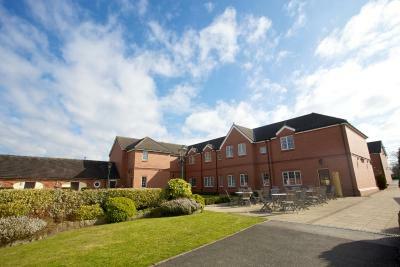 The hotel was set back from the road in a quiet residential location, yet we were only minutes from main roads & M6. We had booked a twin & single room. They were comfortable & very clean. We had a very pleasant stay. Very difficult to find as road had closed notices at each end. We drove around for an hour trying to find a way in. Why did the staff not email a warning about this, with directions? Since they didn’t, we felt a discount for our trouble and petrol would have been a kind gesture. Food was good, both dinner and breakfast. Excellent food in the pub area for evening meal. Breakfast excellent. Comfortable room. Room was a little small. Shower also very small. No USB charging points! Convenient location. Pleasent outlook. Very clean. Excellent breakfast choices. Having gone to some length to confirm all payment was made upfront and settled (as it was the anniversary of my father's death and I didn't want wrangling over payment to happen at reception), that's exactly what happen, and I got double charged. Disappointing and embarrassing. Some of the detail was lacking. Bar/restaurant was typically British i.e poor quality. Pay for Moretti but get it in a Carling glass. Clear your own table before sitting down. Food, average pub microwave fare. Room was v comfortable. Breakfast good. superb breakfast great location....my only nit pick was the restaurant was a bit pricey and the menu lacking variety. It has a lovely character offer great food and has all the facilities you need including a full restaurant and gym. 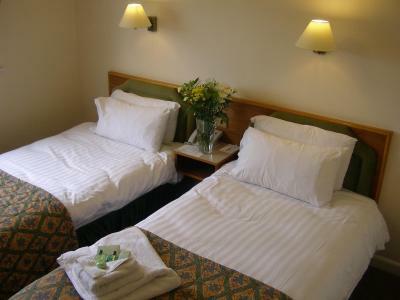 Friendly staff, very clean and well equipped bedroom and shower room, comfortable bed, very responsive central heating system on very cold night, very quiet ambience, excellent ±restaurantand surprisingly modest charges for room which even included an excellent cooked breakfast or buffet alternatives. Plus ample safe parking space.